CARE: Turn sweater inside out and place in sweater bag. Machine wash on delicate cycle (with mild soap) in cool water. Lay flat to dry. Do not iron. Dry clean when mixing colors. An elegant matte and shine, cotton and nylon railroad ribbon. 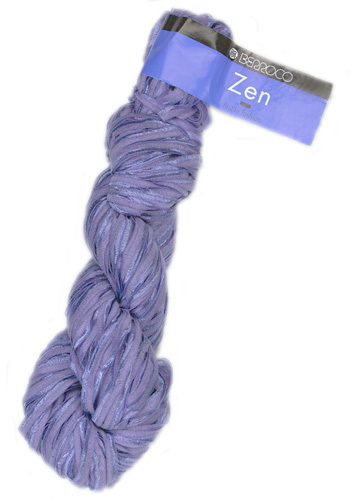 Please note: Zen is discontinued and may have limited availability in your area.